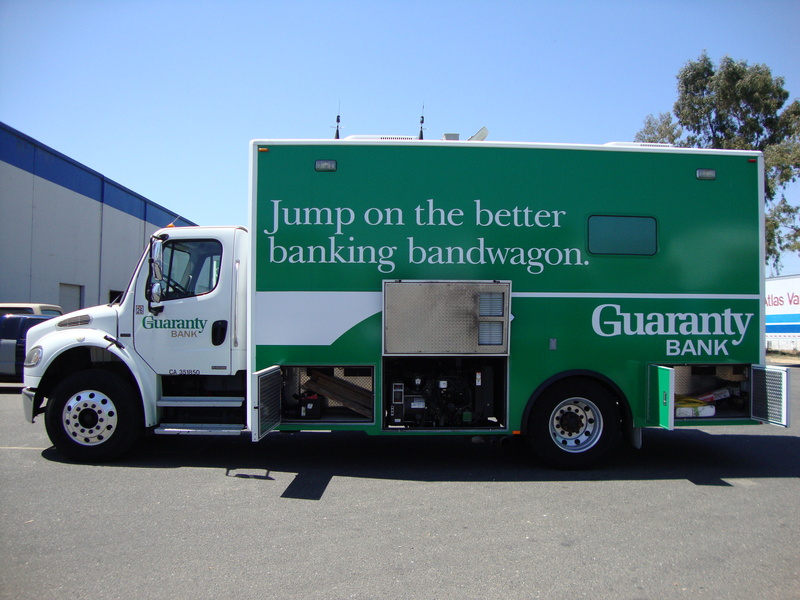 Mobile Bank #1- Orlando, FL. ( 1 total lot ) 2007 M2-106 Medium Duty Freightliner Truck with Bank ATM Conversion, 12,927.5 miles, Automatic transmission, Air Breaks, leather like bucket seats, Conventional cab (Business Class M2), No power windows. Engine: 260 H.P. Mercedes-Benz diesel, L6- 6.4 Liter, Serial#: 0906581676. Goodyear 295/75R22.5 tires with dual wheels in rear. 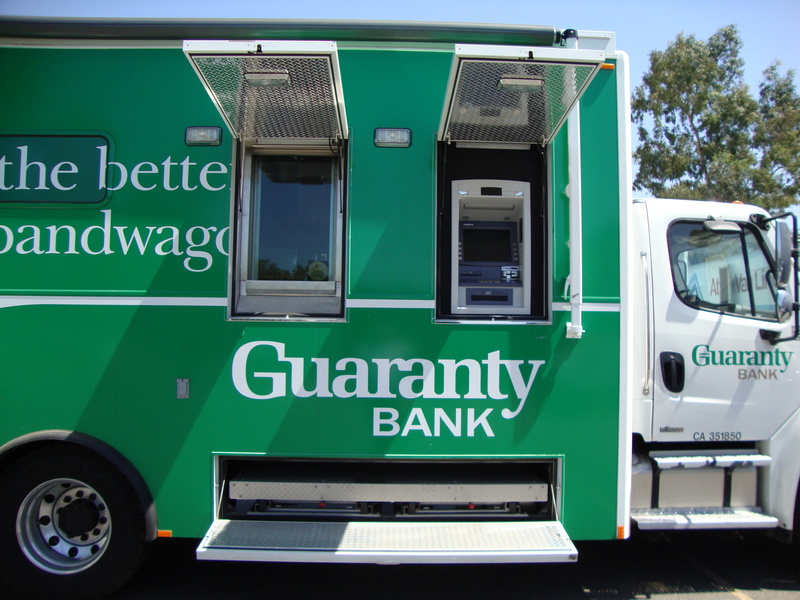 The conversion kit makes this truck into a mobile bank via a Modular Re-Mountable Aluminum Body. 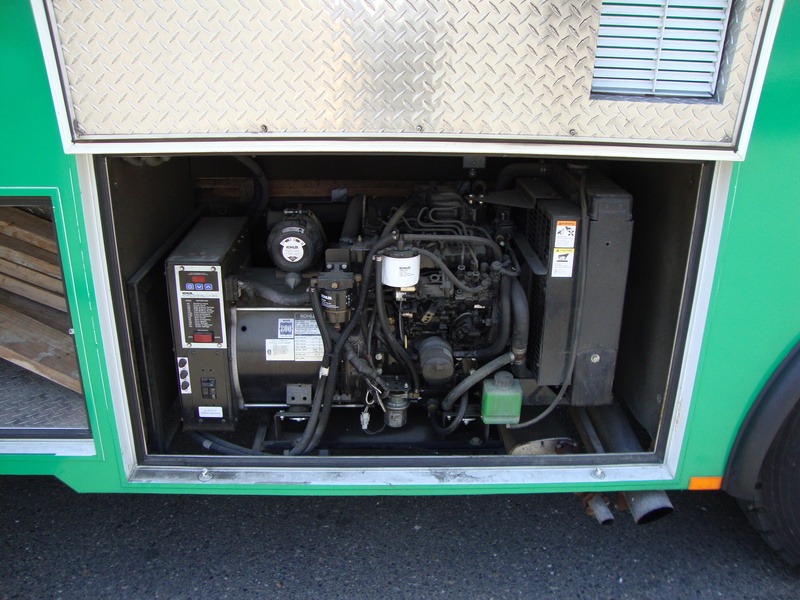 The Bank compartment is run with a self-contained diesel generator- Kohler 3 Cylinder Engine, Serial# :2115181 and includes office space, 1 teller position with interior and exterior access. 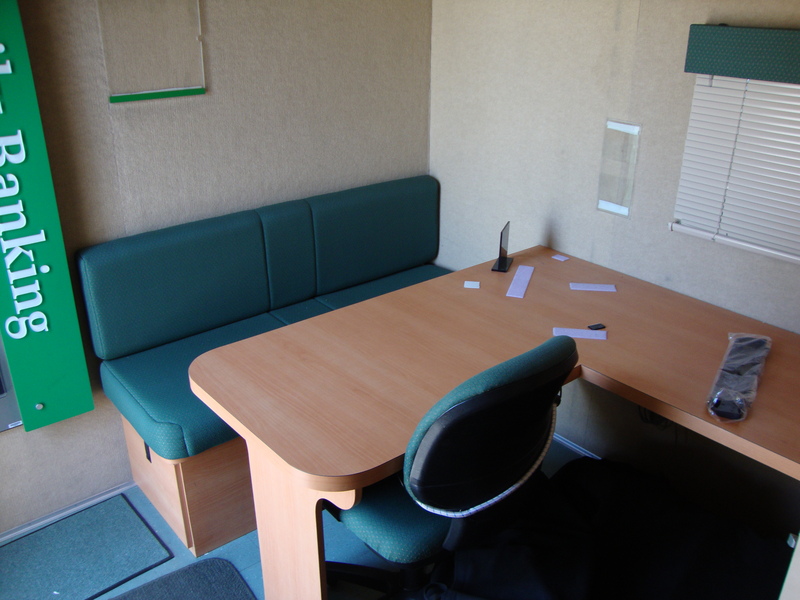 Other equipment included: alarm/video and GPS security pack, desk, chair, microwave, customer service window, and safe. 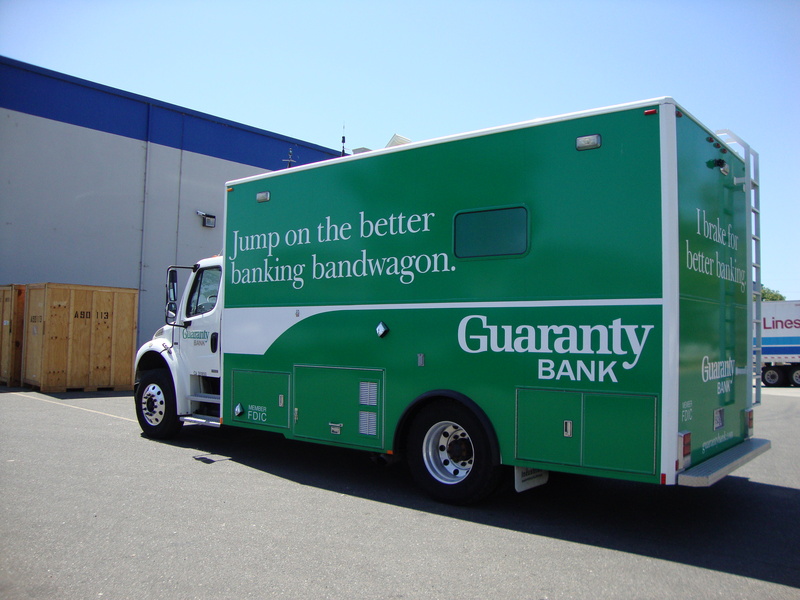 There is a roll out awning on right side of unit and two top mounted air conditioner units. 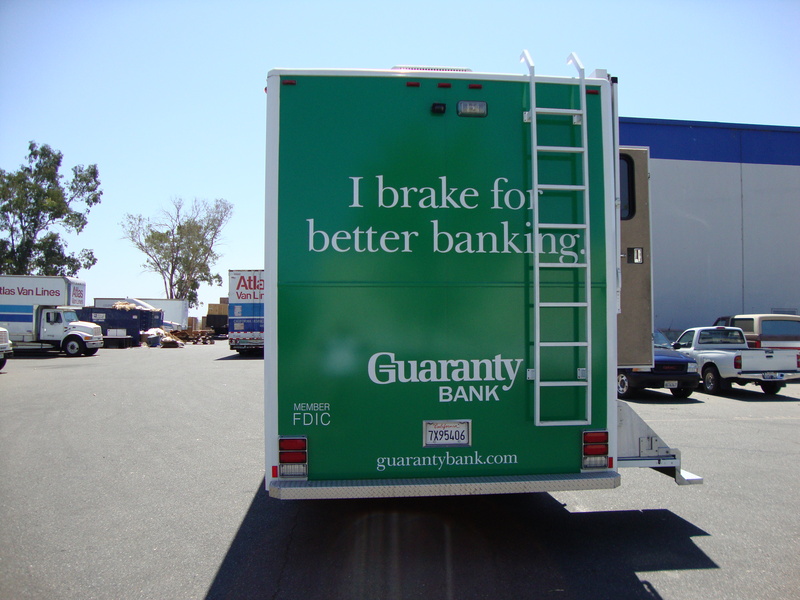 Mobile Bank #2- Sacramento, CA. 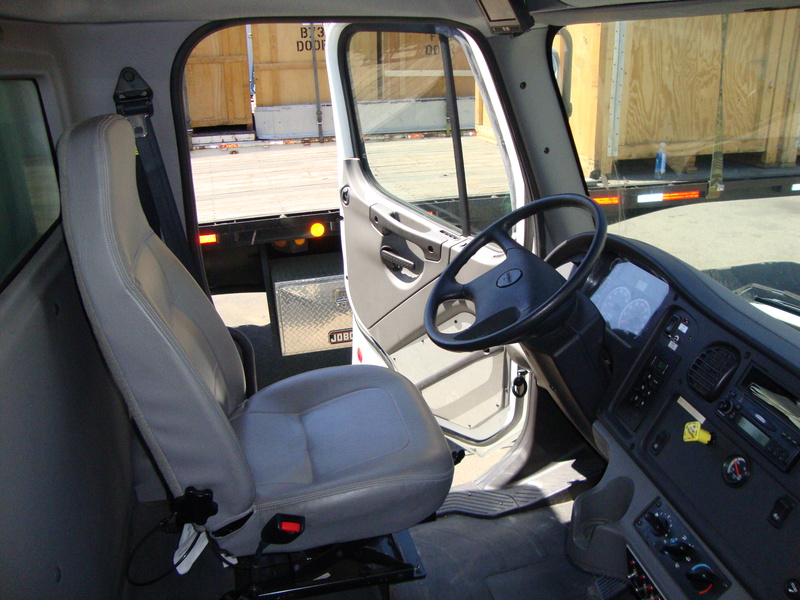 ( 1 total lot ) 2007 M2-106 Medium Duty Freightliner Truck with Bank / ATM Conversion, 16,645.5 miles, Automatic transmission, Air Breaks, leather like bucket seats, Conventional cab (Business Class M2), No power windows. Engine: 260 H.P. Mercedes-Benz diesel, L6- 6.4 Liter. Goodyear 295/75R22.5 tires with dual wheels in rear. 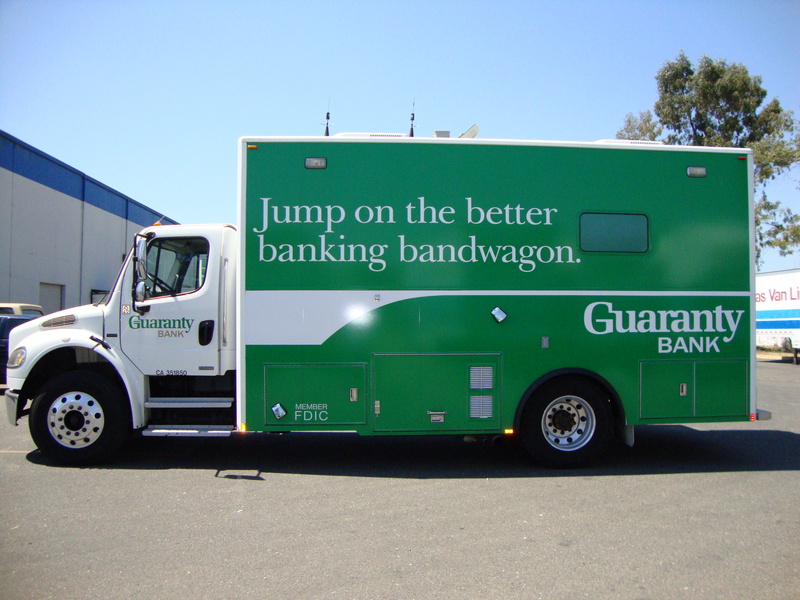 The conversion kit makes this truck into a mobile bank via a Modular Re-Mountable Aluminum Body. 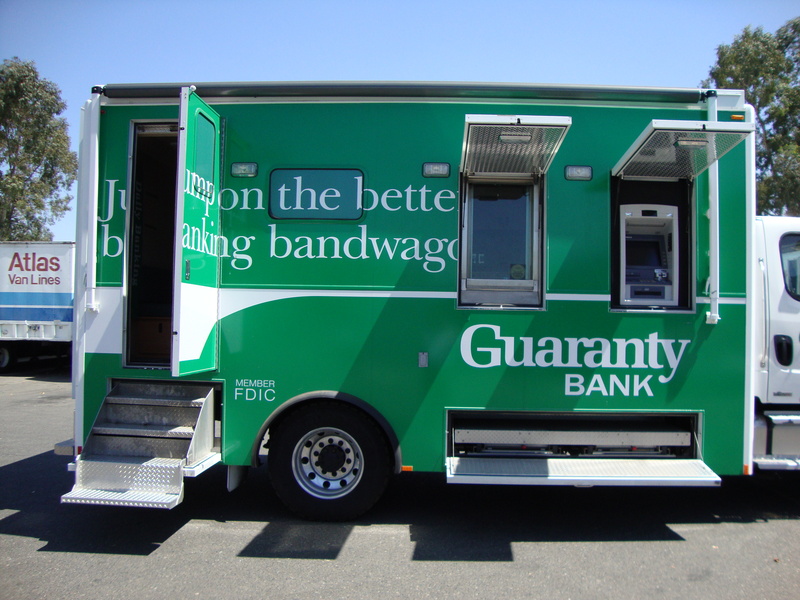 The Bank compartment is run with a self-contained diesel generator- Kohler 3 Cylinder Engine and includes office space, 1 teller position with interior and exterior access. Other equipment included: alarm/video and GPS security pack, desk, chair, microwave, customer service window, and safe. There is a roll out awning on right side of unit and two top mounted air conditioner units. This item is in above average condition for its year model. ONLINE BIDDING closing on Thursday 1/27/2011 for both locations. Visit us at http://www.ricklevin.com for more details.